The battle of the affordable flagship smartphones is hotter than ever. Between the OnePlus 6T, the Honor View 20 and more, there are credible alternatives to high priced smartphones like the Galaxy Note 9 and Huawei Mate 20 Pro. However one more phone manages to undercut the competition by a very big margin. The Pocophone F1, or the Poco F1 as it is known in India, is a $300 smartphone with specs rivalling devices at double the price point. Let’s find out if it hold its own against the all-new Honor View 20 in our Honor View 20 vs Pocophone F1 comparison. The Honor View 20 and Pocophone F1 stand poles apart as far as design is concerned. The View 20’s flashy glass back and etched “V” design is gorgeous. Honor has doubled down on its use of gradients to create a visual identity. I’ve got to say, it definitely works. That’s not to say that the Pocophone F1 is a bad looking phone. Its cheaper variants sports a plastic back that looks a bit cheap. The company claims this helped hit a lower price point and you can’t really argue with that. If you’re the kind of person who uses a case with their phone, this won’t make much of a difference to you. However, the Armoured edition of the phone replaces the plastic rear with a Kevlar back. The jury is out whether it’ll stop a bullet, but the Kevlar finish sure makes the phone look good in a brutalist way. Flip the phones over and the design definitely skews in favour of the Honor View 20. Among the first phones on the market with a hole-punch display, the View 20 has an almost all-screen design. While most new phones have minimal bezels on the sides, the use of an LTPS display allows the Honor View 20 to reduce the chin size drastically. Combined with the lack of a notch, the Honor View 20 simply looks great. The larger notch and comparatively bigger chin makes the Pocophone F1 look like last-gen hardware next to the Honor View 20. Both the phones are comfortable to hold, but the Pocophone F1 is ever so slightly thicker compared to the View 20. On the flip side, the View 20 is just a bit bigger albeit with a larger display. I think it evens out and there’s little to complain about in terms of ergonomics. Hands down, the Honor View 20 has a better screen than the Pocophone F1. The company managed to cram a much larger 6.4-inch display into a barely larger frame than the Pocophone F1. It doesn’t hurt that the quality of the display is better too. The Honor View 20’s LTPS IPS panel looks vibrant to the point of slight oversaturation and has a fantastic contrast ratio. It also goes sufficiently bright to be viewable outdoors. 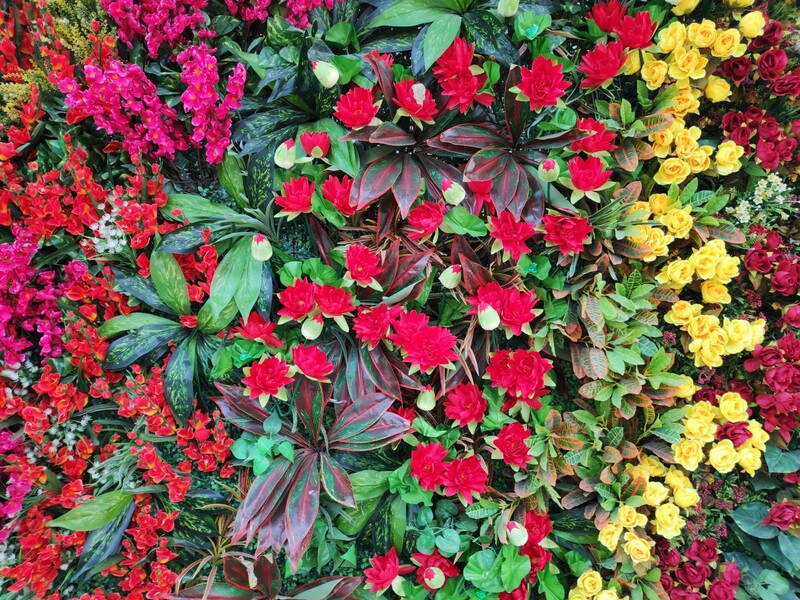 The display on the Poco F1 isn’t bad, but it doesn’t have quite the same contrast. Blacks look like greys and colours don’t really pop like on the Honor View 20. Outdoor visibility is also not quite as good. Of course, you cannot discount the entire notch and hole affair. The 6.18-inch display on the Pocophone F1 is marred by a wide, first-generation style notch. The company tries to justify it by including an infrared camera for faster and more accurate face recognition but I think most users would simply prefer a much smaller cut-out. The Honor View 20, on the other hand, has a flashy new hole punch display that as the name suggests, is a circular cutout into the display panel itself. It is still not quite ideal, but the hole punch is definitely not as visually jarring as a large display cut out. Both the Pocophone F1 and the Honor View 20 use top of the line components. The Snapdragon 845 chipset on the Pocophone F1 is paired with up to 8GB of RAM. The Pocophone F1 has an Adreno 630 GPU as well. Meanwhile, the Honor View 20 uses a homegrown Kirin 980 chipset, the same processor as the Huawei Mate 20 Pro. It sports a Mali G72 GPU, and also has up to 8GB of RAM. The Pocophone F1 handily keeps up with the Honor View 20. Despite starting at a price almost half that of the Honor View 20, the Pocophone F1 handily keeps up. General day-to-day performance leaves nothing to complain about and there’s zero lag with multitasking and gaming performance. We decided to pit the two phones against each other in a couple of benchmark tests to get some numbers. Here’s how it went. Smartphone photography is perhaps the biggest differentiator these days. As processing power gets to a point where real world differences are minimal between flagships, photography chops are what leave a mark. The Pocophone F1 has a fairly unremarkable 12MP camera paired with a 5MP lens for depth sensing. The View 20 steps its game up with a 48MP camera combined with a 3D Time of Flight sensor that helps with depth detection, 3D modelling, and AR applications. The beauty of the camera, however, lies in the oversampled 12MP mode where adjacent pixels are combined to give you more detail and overall improved dynamic range. It certainly helps in low light too. In the indoor comparison shot, you can see that the View 20’s shot is just a bit brighter and has more details in the shadow region. The View 20 generally opts for a cooler white balance I’m not too fond of. Thankfully, there’s a full fledged pro-mode so you can change settings as you please. In bright daylight, differences are minimal and the Pocophone F1 can hold its own against the View 20. In less than ideal light, the Pocophone’s images are low on details when pixel peeping. The View 20 takes rather good low-light shots but the AI mode requires you stand absolutely still which can induce a bit of blur since there is no optical image stabilization here. 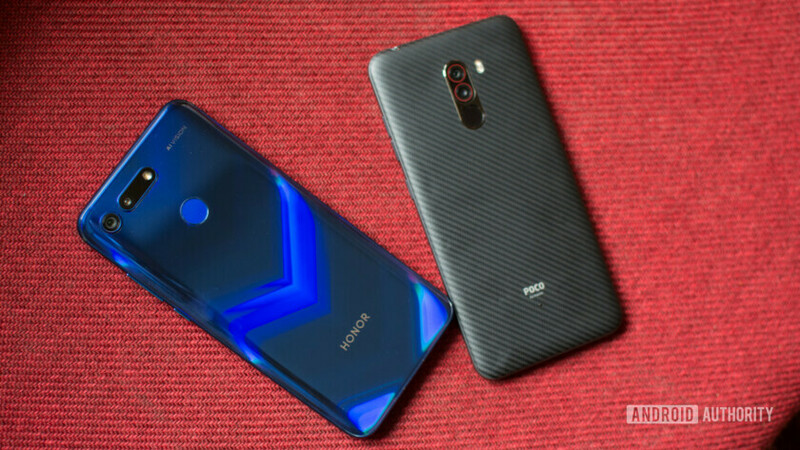 The Honor View 20 and Pocophone F1 both now run on Android Pie with their respective manufacturer skins on top. The View 20 has what Honor calls Magic UI 2.0. An iOS style launcher, by default it does not include an app drawer, but there are options to tweak the interface to your preferences. The Pocophone F1, on the other hand, runs MIUI with a fresh new launcher that Xiaomi calls Poco Launcher. A bit more optimized for power users, the launcher allows you to set an app drawer, which is missing in standard MIUI. There are quite a few preloaded applications and most of them display advertisements in the interface which can appear quite offensive at times. The Pocophone F1 starts at 19,999 rupees (~$280) for the base variant and goes all the way to 27,999 rupees (~$393) for the 8GB RAM and 256GB storage version. The Honor View 20 costs 37,999 rupees (~$533) for the 6GB RAM, 128GB version. At almost half the cost of the Honor View 20, there’s no doubt the Pocophone F1 offers amazing value, though the company made some obvious compromises to reach that price. Are you willing to pay double the money for a usually superior camera experience, a stunning design and a punch-hole camera? Would you look at something completely different like the OnePlus 6T instead? Let us know in the comments section. Pocophone F1 vs OnePlus 6: Can Pocophone steal the crown?